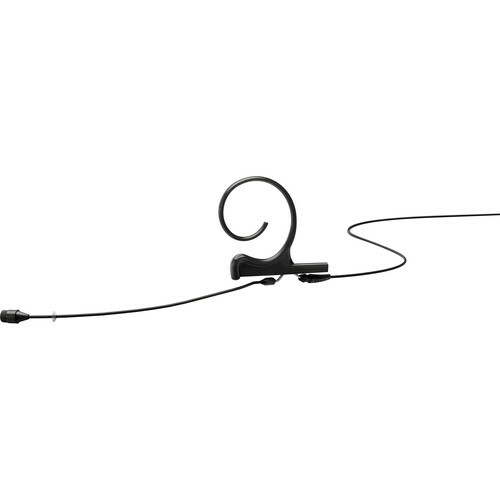 The black d:fine 66 Single-Ear Omni Headset Mic with Adapter TA5F Connector by DPA Microphones is a professional solution for capturing audio that gets the job done. It can be used in various environments and applications for singers, public speakers, actors, musicians, broadcast professionals, and more. It features the DPA 4066 capsule paired with a low-profile, lightweight and flexible headset. The omnidirectional microphone has a frequency range of 20 Hz to 20 kHz. This microphone offers accurate and natural voice intelligibility, and has high SPL capabilities for faithful reproduction of the human voice. 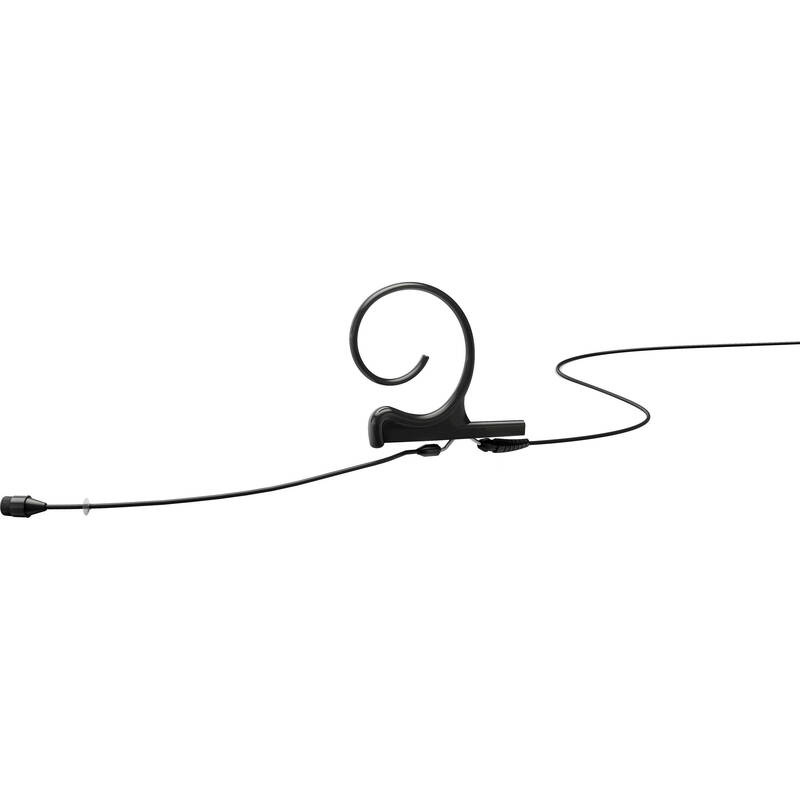 The d:fine 66 headset microphone is built with a 3.5" (90 mm) boom and is featured with a single-ear mount. The ear mount is designed to fit any head and ear size. Just by rotating the boom and the earhook, the microphone can be moved from the left to the right ear. This headset is built with a 4.1' cable and terminates in a TA5F connector. A carry box, earhook, cable, cable clip, makeup cover, soft boost grid, and 4 windscreens are included. Users can both speak and sing into the microphone with no hint of distortion.